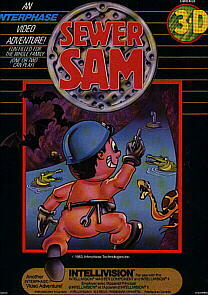 Sewer Sam is a trouble shooter for the City Works Departement. There´s something going on down in the sewer system and Sam has been sent to investigate. Unfortunately, threatening nasties hinde in the tunnels. Watch outm SAM! You will choose SAM´s passage through the maze and will aim his trusty six shooter.